Surprise Glacier Harriman Fjord, Prince William Sound near Whittier Alaska. This shot was taken on one of the days that we spent during my annual Alaska tour/workshop this last August. Alaska is incredible. This is a single Raw exposure adjusted in Lightroom. I like how the 70-200mm lens has compressed the scene, thereby exaggerating the zig-zag flow of the glacier and making the mountain appear more formidable. 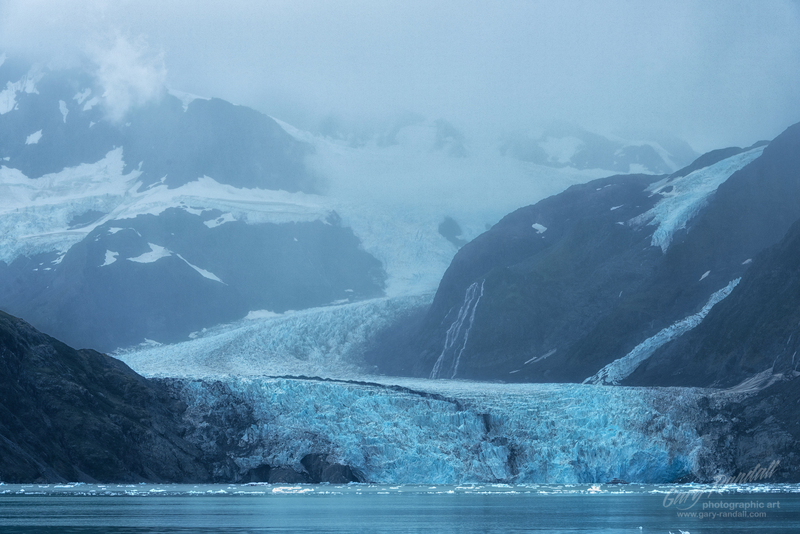 A very dramatic image that really captures the essence of the Alaskan landscape. I am curious to know why this glacier has been named “Surprise Glacier”. Hello Anil. The glaciers in the Harriman Fjord were named during the Harriman Expedition in 1899. Surprise Glacier got its name when the Harriman Expedition sailed through a narrow passage and discovered the massive glacier on the far side. I must assume that they were surprised to see it. It’s well worth a day trip out of Whittier into the Prince William Sound to see these glaciers, the surrounding landscapes and the animals, black bears, seals, sea lions, whales, otters eagles… etc. It’s a part of my Alaska tour/workshop each August it’s so epic. Thank you so much for your thoughtful comment. Hi Bill. Thank you. Did you tour the Prince William Sound on your trip?